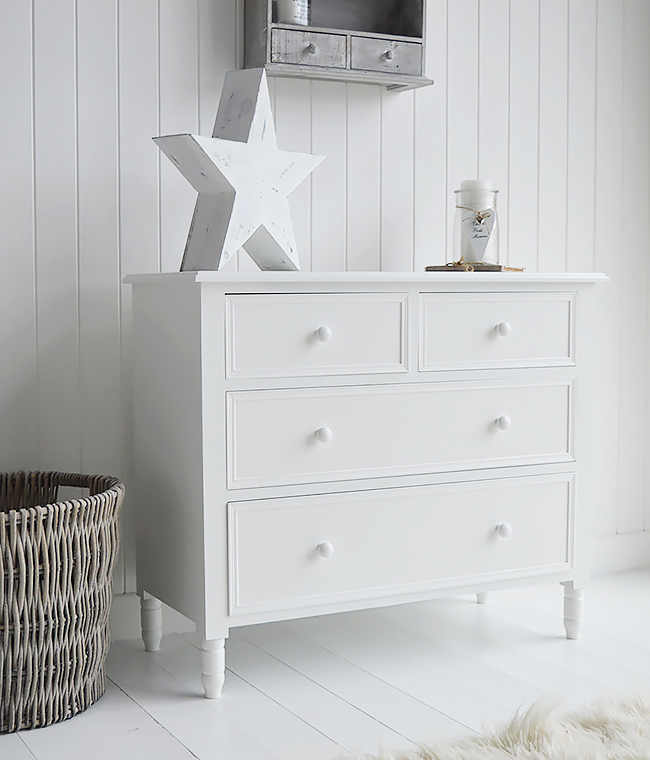 Within our range of New England furniture range we have two variations in the chest of drawers to choose from with a set to suit your home. This set is very simple in design with straight lines throughout. 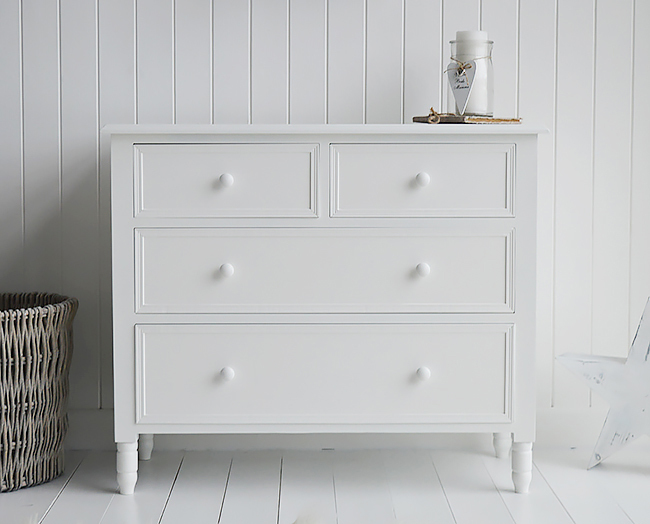 With the simple straight lines, this New England chest of drawers will fit perfectly in every interior style from a home on the coast to grand victorian houses in the suburbs with more traditional decor. 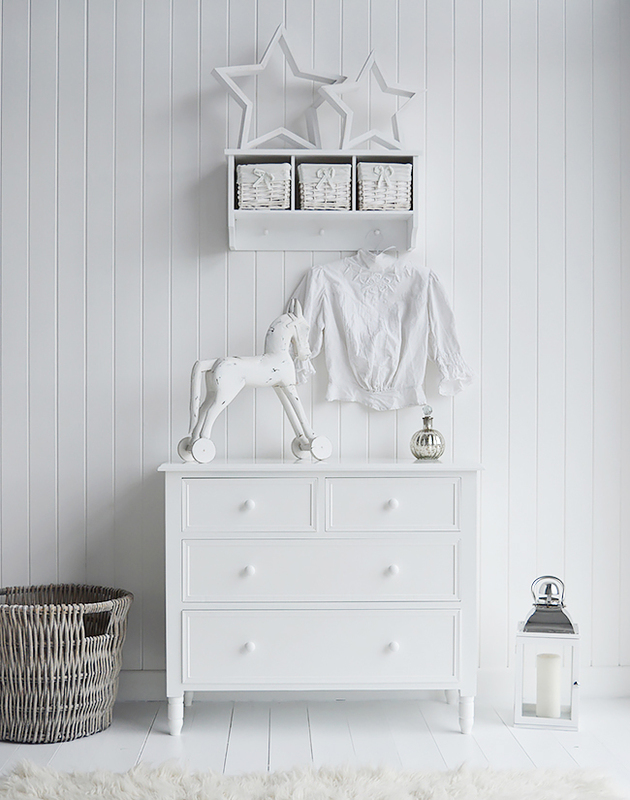 The white chest makes for a superb choice for storage when decorating every room from bedrooms to bathrooms, living rooms and hallways. The New England drawers are sturdy and robust, made from a strong wood composite and delivered to you fully assembled. 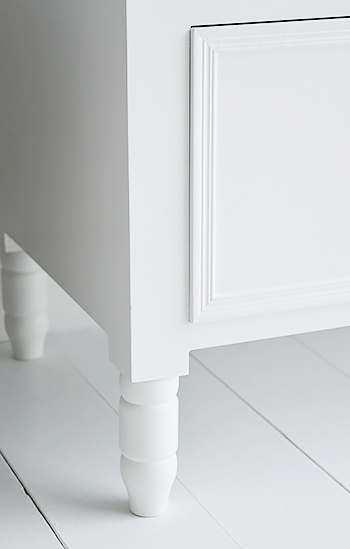 The white satin paint allows you to easily wipe clean the surfaces. 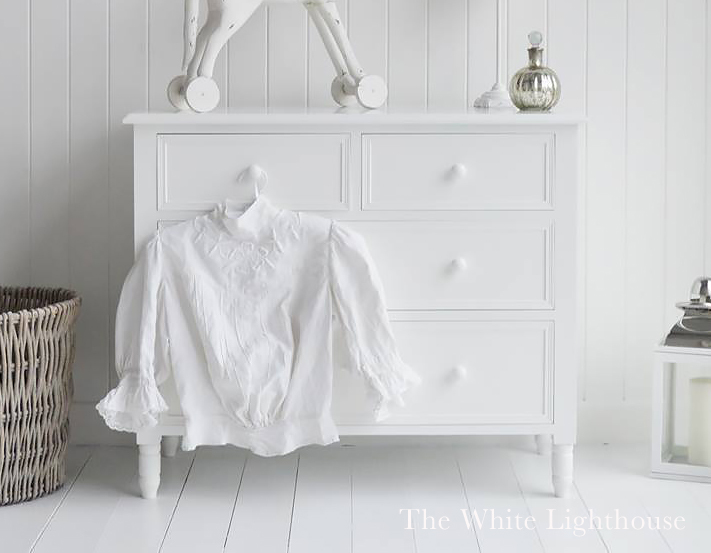 Other pieces of white furniture are available to match these drawers including lamp tables in different styles, cabinets, cupboards and dressing tables. Generally delivery for the New England chest of drawers is within 8-12 working days from ordering. This is a general timescale and we do try to get it to you sooner. On dispatch we email you with your delivery details and delivery should be 2 working days after. Do these drawers need built? No the chest is delivered fully assembled and do not need built. 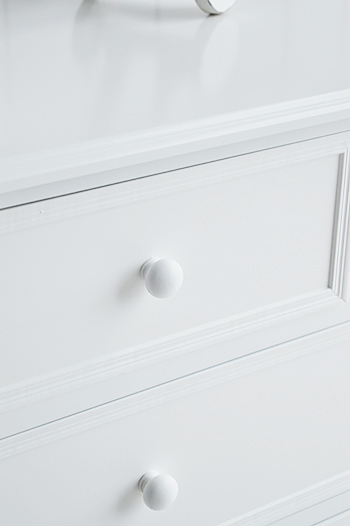 The finish of the drawers is a bright white satin paint which can be esily wiped clean. What is the chest made from? 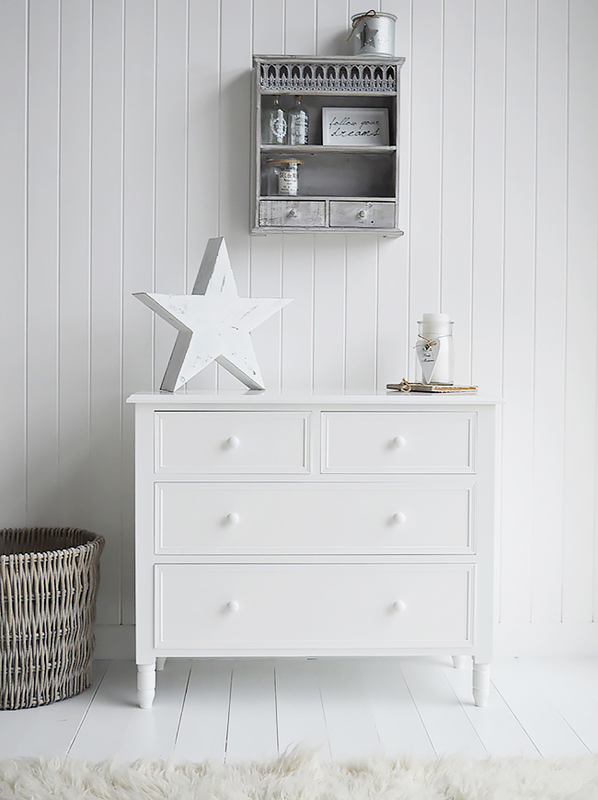 The chest is very robust, made from a strong wood composite andpainted white. 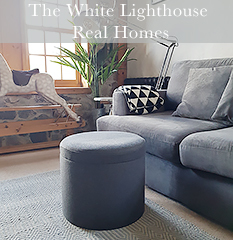 Would the chest of drawers suit my home?